With child obesity levels at an all-time high, it’s never been more important to get your kids outside and physically active. Not only will this exercise be extremely beneficial for their health, but it’s also what kids should be doing. It’s not uncommon to see kids in front of a television or iPad, but with so much energy and imagination, it is such a waste. The entertainment factor that these digital devices provide can be hard to match. With this is mind, it’s time for parents to find a new way to encourage their children to get active. With the recent explosion of Fitbit on the market, fitness trackers are now all the rage. Adults everywhere seem to have one, and it’s been proven that these devices are encouraging people to look after themselves and live healthier lifestyles. What if you could give this excitement and encouragement to your children? Fortunately, you can. Alongside this boom in the industry, there are many fitness trackers available specially designed for children. But with so many to choose from, how can you be sure which one is right for you? To give you all the information you need, I’ve compiled a list of some of my favorite child-friendly fitness trackers that are currently available. We’ll explore the ins and outs of each so you can make the best decision. If you're still not sure which one is best for your child, my step-by-step buying guide gives you all the details you need to make the best purchase. Helping you to make the best decision possible, here is a list of my favorite fitness trackers that are available on the market today. Starting off my list, I’ve chosen one of the most fully-featured fitness trackers on the market. It has been tested by 3rd parties on 5th Grade students, and increased activity levels by an incredible 55%. This lightweight tracker band easily fits onto your child’s wrist like a watch, remaining comfortable and nonrestrictive to their activities. This device has no screen to distract your child, and connects seamlessly to the motivational app, accessible from any smart device. Every time your child does any activity, these movements are converted into activity points. Within the app, these activity points are added together to unlock rewards and extra features within the app, motivating and encouraging healthy play and physical activity. Regarding the device itself, the fitness tracker is waterproof and highly durable, meaning it can be worn during all activities, including running and swimming. This fitness tracker can last an incredible nine months on a single charge, meaning you never have to worry about a dead battery losing your child’s performance. What's Great About It: As with any child-related product, the leading cause for concern is the safety of your child. The app has been tested and approved by kidSAFE, meaning your child can enjoy the product safely. There are also parental controls so you can remain in control of the content your child can access. One of the leading child-friendly fitness devices in the industry, this extremely easy-to-use child tracker takes a unique approach to encouraging physical activity. When wearing the fitness tracker, it tracks every physical movement your child makes, which powers the digital pet on the screen. This power will grow the pet, unlocking games that encourage your child. There are eight pets to choose from, each one giving access to over 50 different games, challenges and activities that entice your child into completing physical activities. There’s never been a better way to inspire your young children to get outside and get moving. This watch boasts incredibly easy controls that can be learned quickly and has options for both analog and digital settings. What's Great About It: The leading feature of this unique watch is the parental controls. You can customize your settings in both School mode and Quiet Time mode. This means you can block off access to games and settings during certain times, allowing your child to concentrate during the most important times of the day. When purchasing a product for your children, you want a device that’s fully featured and has everything they could need. The Garmin vivofit does just that. This highly durable device is waterproof up to five meters, meaning it can be worn 24/7, no matter what activity your child is engaged in. 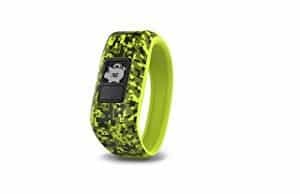 Specially designed for children aged between 4 and 9, the one-size-fits-all strap means your child can comfortably fit the tracker to their wrist as soon as it comes through the door. 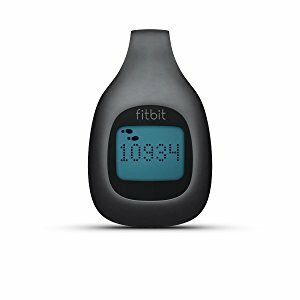 This fitness tracker is compatible with the free Garmin fitness tracking app, available for download across all smart devices. It rewards your child’s activity with games as they complete challenges, perfect for motivating them to do more physical activity. In addition to tracking activity, the vivofit will also track steps and sleep, ensuring your child is meeting the recommended guidelines. What's Great About It: As with any child-friendly product, you want to invest in a device that is built to last. In addition to being one of the most durable fitness trackers on the market, this device prides itself on an outstanding one year battery life. This means you’ll never have to worry about recharging your device, safe in the knowledge that all your child’s activity will be accurately recorded. To conclude my list, I’ve chosen one of the industry leading companies that brought fitness trackers into the spotlight on a global scale. Usually designed for teenagers and adults, the Fitbit Zip is a refined version, ideal for children, while still managing to squeeze in all the market-leading technology. This clip-on tracker is perfect for counting steps, calories and the distance traveled by your child on a daily basis, giving you all the information you need to ensure that your child is meeting the recommended guidelines for a healthy lifestyle. This device runs off a replaceable watch battery that lasts an incredible six months, meaning your child will rarely have to worry about changing the battery while maintaining all of their activity data. This highly durable device is completely water resistant, making it suitable for tracking all kinds of activity, no matter what the weather or sport. What's Great About It: The leading feature of this market-topping fitness tracker is its ability to sync effortlessly to a whole range of devices using the professionally designed Fitbit app. This allows you to track and store activity data while unlocking milestones and completing challenges, ideal for motivating your child. Now that you’re aware of some of the leading trackers in the industry, it’s time to choose the best one for your child. But with so many different ones to choose from, how can you be sure which one is right for your child? For your benefit, use my buying guide below as a checklist, detailing everything you need to know to make the best decision. One of the first things you’ll want to consider when purchasing a fitness tracker is how your child will be wearing it. For example, if they had to hold it in their hands all day, this will simply get in the way, and they won’t want to use it. With child-friendly fitness trackers, there are two types of fixtures you should look into. The first variety is a watch strap. This is the classic type of fixture and will work similar to a watch. 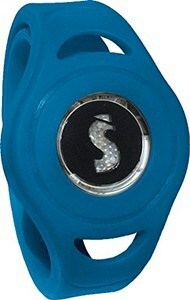 This will fit onto their wrist and will rarely get in their way. The second type of fitness tracker available is a clip-on tracker. These devices will have built-in clips which connect to your child’s belt or clothing, ensuring that their hands are free to do as they please. When looking for the ideal tracker for your child, consider how they will be using the tracker. If your child is relatively active but doesn’t pay much attention to the tracker, a clip-on device may become lost easily. For children like this, a watch strap tracker is more suitable. The second aspect you’ll want to consider is the battery life of your device. You won’t want to be charging your tracker every day, and you won’t want it to die halfway through the day, causing your child to lose their activity data until the device is recharged. 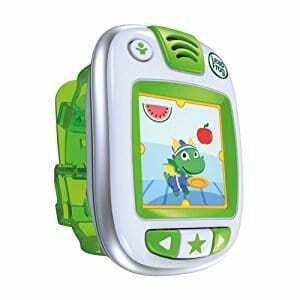 Fortunately, child-friendly trackers are usually designed to last with this in mind. As with most children’s products, the cheaper the model is, the shorter the battery life will be. Battery life can also be decreased by devices with a ton of features that use a lot more power. Which device you choose depends on how often you want to charge it. As you can see from my list, devices can vary from a couple of months to a full year of battery life, so the choice is really up to you. More in Kids' Fitness: What are the Best Probiotics for Kids? One of the most important aspects of a fitness tracker is what the device actually tracks. If you’re looking for a basic experience, you’ll be looking at devices that count steps and calories. These are the most basic, universal features that you’ll find. As you start moving up the price ranges of child-friendly trackers, you’ll find other features including built-in games, activity loggers which allow you to input what activity your child is performing, and total distance counters. Children love to run around and explore the world. With this in mind, you’re going to want a fitness tracker that is built to last. Consider what sort of activities your child will be engaged in. If your child will be swimming or doing water activities, you’ll want a device that’s waterproof. Furthermore, you don’t want a device that will easily break. As a rule of thumb, the cheaper the device, and the cheaper the materials used, the more likely it will break quickly. Encouraging children to get outside and exercise is a challenge in itself, which is why child fitness trackers have created ways to make it easier. Using on-screen graphics or connectivity to a smart device app, every time your child performs an activity or completes a milestone, such as 5,000 steps in one day, they can unlock access to a game or a motivational reward. The rewards get better with every unlocked tier and actively help to inspire your children to want to exercise and get active. If your child finds it a struggle to get up and get active, devices with these reward systems are ideal and are definitely worth considering. With fitness trackers being all the rage right now in the adult world, there’s never been a better time to get your children involved. By encouraging and inspiring them to get active from a young age, you can teach them why it’s so important to live an active and healthy lifestyle. Getting this right early on can bring about so many benefits that will help them to be happy throughout their childhoods and the rest of their lives.